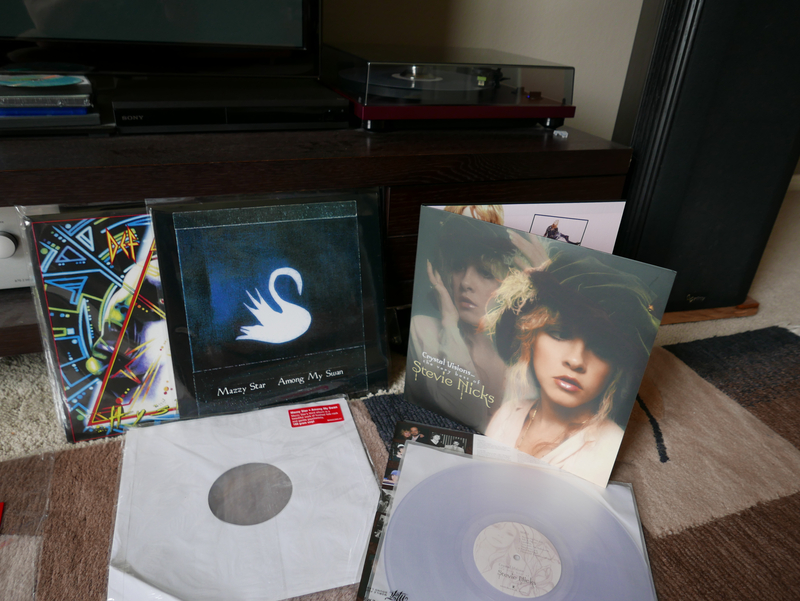 Stevie Nicks Crystal Visions-awesome pressings by RTI, Mazzy Star, &Def Leppard. Are you guys going to venture out into the lines/crowds on Saturday. I have never been yet. But I believe it gets really crowded/long lines here in Austin at Waterloo records. I got 4 in today. DSOTM and WYWH, both with nicks, scuffs and a lot of pressing defects. Ziggy Stardust spinning looks like the waves on the ocean....was making me sea sick. Those are going back. Live Rust is about as perfect as it gets, not even a tick. Nice! Great album by Mazzy Star. That Def Leppard is one of my all time favorites. My copy of the Mazzy Star is garbage. It was one from a known horrible quality press plant, can't remember which, right now. Where'd you find yours? I usually skip RSD since there's not usually a whole lot I want. Each year I see something, and call over to the shop later on, but they're all really small shops, so I never really expect to find anything. I am not a fan of the whole RSD thing, for what it's worth. I only like it because my record store does 20% off new and 30% off used vinyl. I may go pick up a copy of Madvilliany. I have a good amount of rock, jazz, classical etc but my Hip Hop collection is low, trying to get it up to snuff. I don't know why you guys waste time and money on this analog crap. Forgot to mention I got Keith Richard's Talk Is Cheap box set yesterday, beautiful package. The vinyl sounds really good and it's quiet. This has been a long time favorite and I'm pleased to say the bonus album has some really good jam tunes on it too. Look for: Bone Thugs-N-Harmany "E. 1999 Eternal". It's my favorite album they made. Also would like to hear your opinion of the song "Mo' Murda" played on your SDAs. Just listen to this the other day. Great album. I personally can relate to the song "Locked Away". H.H. Scott 330D AM/FM Tuner with H.H. Scott 335 Multiplex adaptor. yeah I have the Plain Recordings pressing(known for bad pressings), but I lucked out, the record is actually pretty good, perfectly flat, only mild levels of surface noise at times. 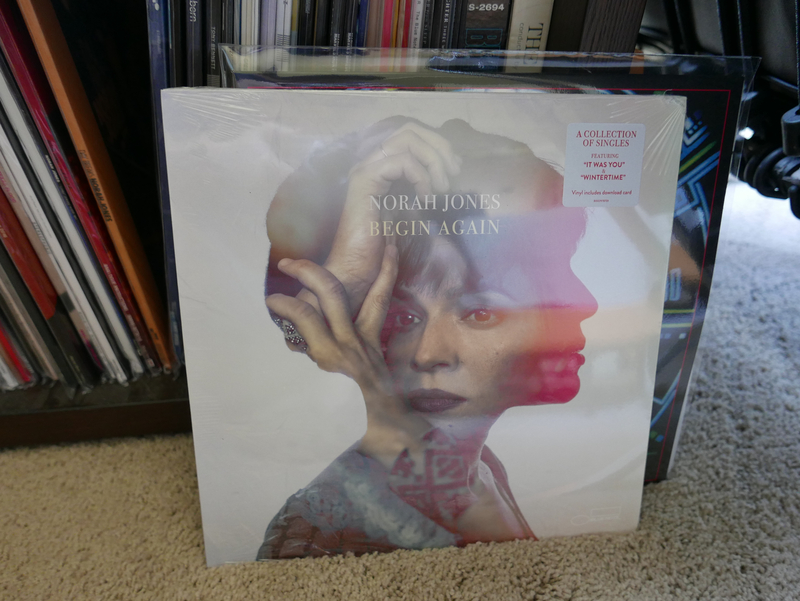 I got it from Amazon, unfortunately lots of other people got bad pressings, I took the risk anyways, since I couldn't find an original pressing. gotta love Def Leppard and Stevie.